Again marking November 5th as a global day of protest, Hacker group Anonymous has released confidential customer information, including 28,000 alleged account passwords that it says came from a hack of PayPal’s servers. Multiple Anonymous Twitter accounts announced the hack, linking to a set of Private Paste documents containing emails, names, and what appear to be possibly passwords from the payment service’s database. One paste dump states that it has 27,935 entries from “mc_customers” with columns for the passwords (which are coded) and corresponding telephone numbers. Some of the links appear to have been removed at the time of writing, but they were all working at one point. 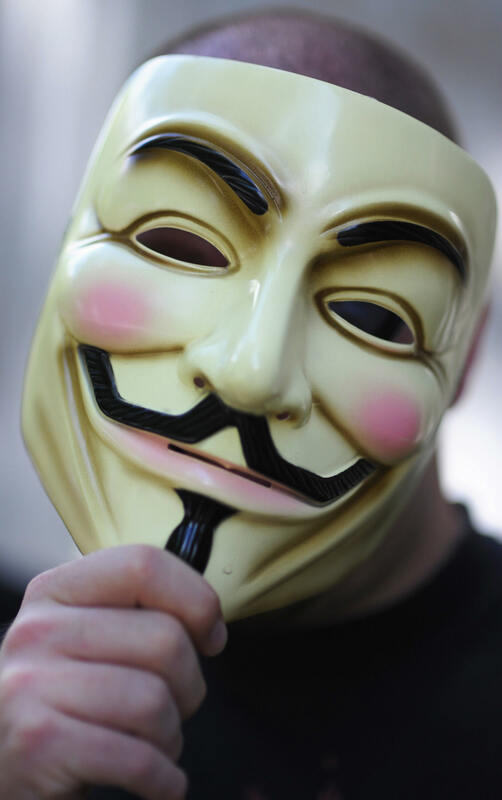 Earlier this year, Anonymous proclaimed that it would once again hold a protest on November 5th, or Guy Fawkes Night. In addition to cyberattacks, the group has also scheduled a “march, strike and protest” in front of the White House in the US and Parliament in the UK tonight to reenact the revolution scene from the movie V for Vendetta. Although November 5th is just getting started in some parts of the world, Anonymous is already taking credit for multiple hacks, including NBC, VMWare, and the defacing of a number of websites around the world.